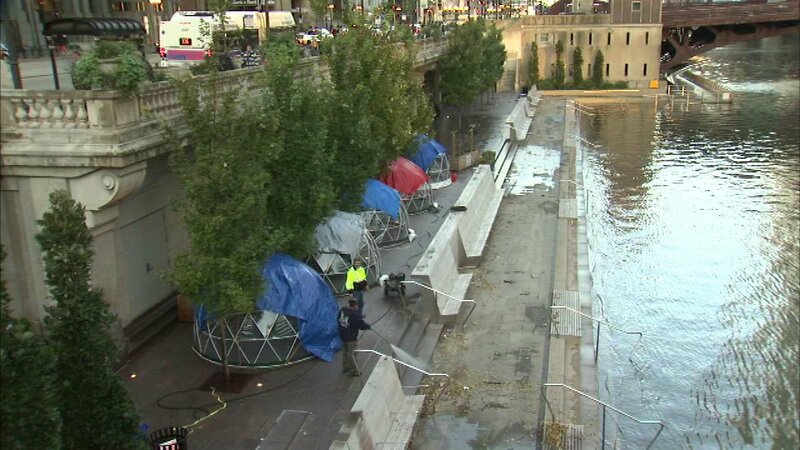 CHICAGO (WLS) -- The Chicago Riverwalk will reopen Tuesday following weekend flooding due to heavy rains. The Mayor's office announced the reopening, and said cleaning crews have been working to powerwash and clean the areas affected by flooding. Record-breaking rain Saturday sparked widespread flooding across the Chicago area, and forced the Riverwalk to partially close. Many popular restaurants, like City Winery, barely escaped flooding but had to close nonetheless. "The water ended up reaching all the way to the benches we set up out front," said City Winery employee Cesar Avila said. Tour companies that offer boat tours on the river also stopped operations until waters receded. The mayor's office said the Riverwalk was designed with flooding in mind, and is made of materials and landscaping that "can withstand being submerged for long periods of time."